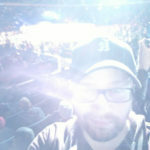 The crowd didn’t love it, it was light on action at times, but John Makdessi did enough to earn the unanimous decision win over Jesus Pinedo at UFC Nashville on Saturday. 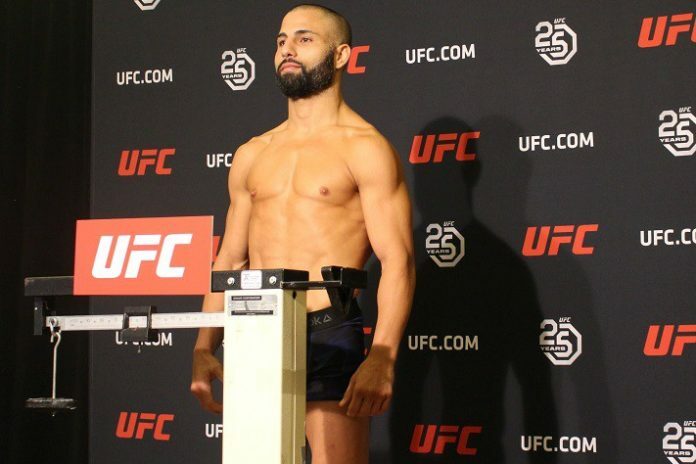 After his original opponent Nasrat Haqparast was pulled from their bout for UFC Nashville, it didn’t take long for John Makdessi to find a new opponent. That would be Jesus Pinedo, who stepped in on short notice. 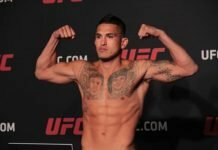 Pinedo entered the night after collecting his first in win the UFC after he won a Unanimous decision over Devin Powell at UFC Fight NIght 140. Makdessi’s last contest also saw him collecting a unanimous decision win over Ross Pearson at UFC on Fox: Alvarez vs Poirier 2. Makdessi came out moving forward. Pinedo looked to land a head kick that was blocked, he fired off a second and missed the mark. Makdessi continued to move forward and the two exchanged leg kicks. Pinedo tried for another head kick that was blocked by Makdessi. Makdessi closed the distance and two exchanged a flurry of punches. Pinedo found the distance and looked for another head kick that was again blocked. Pinedo missed with another head kick and Makdessi fired back a kick of his own. Makdessi landed a low leg kick that was answered with a pair of kicks from Pinedo that again missed their mark to end the round. Note the number of times the word “missed” came up there. The crowd was not loving it. Makdessi came out and took center in the second; he started to press the action as he stalked Pinedo around the cage. Pinedo landed a body kick but Makdessi kept moving forward. Makdessi continued to land leg kicks on the lead leg of Pinedo. Makdessi fired off a head kick that was blocked by Pinedo. Pinedo fired off another pair of a kicks that were blocked. Makdessi answered with a high kick of his own. Pinedo returned with a left hook followed by a right. Makdessi continued to chop at the visibly damaged lead leg of Pinedo. They exchanged again with Pinedo landing a head kick to close out the round. Makdessi opened the third with a leg kick then followed up with a head kick that was blocked. Makdessi continued to land multiple outside leg kicks on Pinedo’s damaged leg. Pinedo started to press forward and looked to land but Makdessi continued with leg kicks that backed him up. Both men exchanged kicks that missed their target. Makdessi moved forward and landed a straight right and then a left hook. Pinedo fired back with a body kick that landed but was caught for a moment. Pinedo moved forward and landed combination, Makdessi answered with a body kick that came at the end of the round. In the end, it was Canada’s Makdessi getting the nod.